The Western Red Cedar is truly an icon of the Pacific Northwest. Used by Native Americans for shelter, canoes, and even clothing, the tree can live well beyond 1,000 years old – the oldest recorded tree was more than 1,400 years old! Standing over 200 feet tall and up to 13 feet in diameter, the Western Redcedar is a true Portland giant. In all actuality, the tree isn’t a cedar at all but an arborvitae. No matter what you call it, the Western Redcedar is used in all manners of decking, fencing, and siding around Pacific Northwest homes. Natural oils make it resistant to decay and insect infestation and the overall appearance is pleasing to the eye. 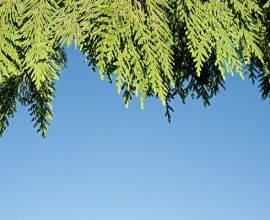 The wetter winters and dryer summer are affecting how the Western Red Cedar grows, even in the best of locations. Certainly, trees growing on rocky slopes are always going to struggle to find water, especially so during times of drought. However, trees are also dying off in areas of depression and plenty of shade. The Western Red Cedar has been unable to adapt to climate change, including less precipitation and warmer nights. Because of that, the red cedar is in a continuous state of respiration. 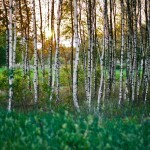 What is tree respiration? It’s the act of “exhaling” carbon dioxide. When we take a breath, we inhale and then exhale. Now imagine continually exhaling – there’s barely any time at all to inhale. 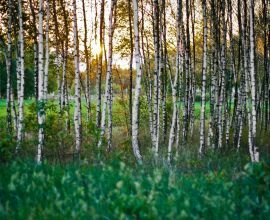 The trees are unable to get what it needs from carbon dioxide before releasing it. The constant respiration is making the trees weaker, making it an attractive target to insects, especially the Western Ceder borer. Under normal conditions, the borer is not particularly harmful to healthy red cedar trees. However, as the trees become weakened, the borer proliferates. Destroying the tree from the inside, the borer larva feeds on the cambium, which is responsible for delivering water and nutrients throughout the tree. Once the cambium is destroyed, the tree begins to die, usually from the top down. This often happens underneath the surface, making it near impossible to discover until it’s too late. It can take a few years for the larva to mature. The borer will leave the tree as an adult and find another weakened tree to begin the process again. With more weakened trees, the borer population is able to explode, affecting more trees. The Western Red Cedar is as much a part of the Portland landscape as Mt. Hood. Used for centuries by Native Americans, the tree continues to be a staple in the building industry because it is relatively light, easy to work with, and naturally weather resistant. 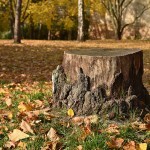 However, as climate change continues to be an issue, the Western Red Cedar will experience die off in greater numbers. While steps can be taken to ensure good health, such as planting the tree in advantageous areas, there are larger issues at play. Worried your Western Red Cedar may be in danger? 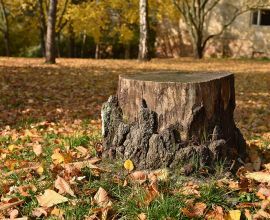 Call Inexpensive Tree Care today. 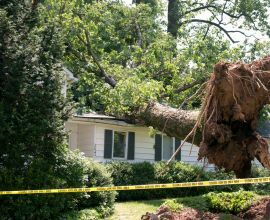 We can inspect the tree and, if it is stressed, make recommendations to improve the health of the tree. We have been offering trimming, pruning, and removal services in the Portland area for more than 15 years. We look forward to working with you.